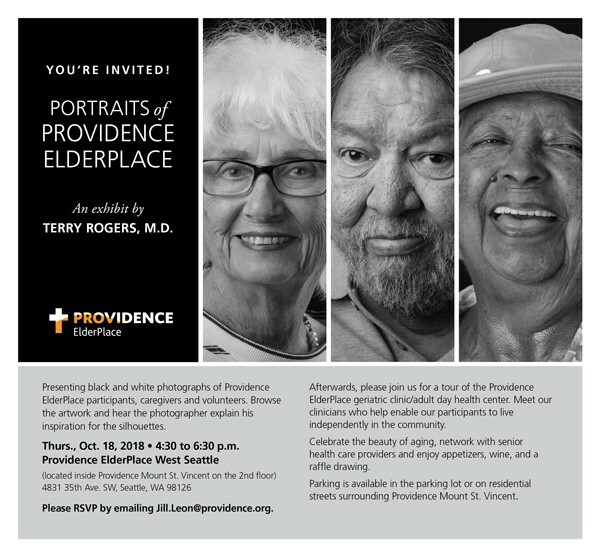 Portraits of Providence ElderPlace an exhibit by Terry Rogers, MD. Join us for a black and white photograph exhibit of participants, staff and volunteers by Terry Rogers M.D. Tour the Providence ElderPlace PACE Site, meet the clinicians who enable our participants to live independently in the community. Professional networking. Appetizers, wine and more! Dr. Rogers will share his inspiration to photograph our participants. Parking is available Providence Mt. St. Vincent lot as well as the surrounding residential streets.